Ticket Includes: IT (2017) and Popcorn for everyone in the car! 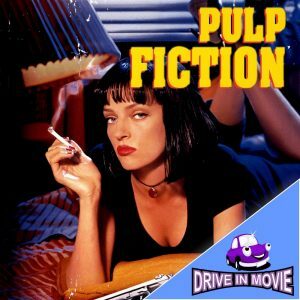 IT – The Stephen King Classic – DRIVE IN MOVIE. 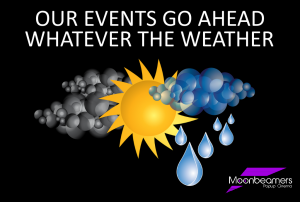 Moonbeamers’ event being shown on our huge 36 foot screen and being held at Barleylands Craft Village and Farm Centre Car Park, Billericay, Essex CM11 2UD. See the spookiest horror in recent years at our Halloween Drive In. 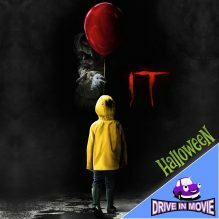 Join us at our usual Drive-In location for the awsome “IT”. Get all cosy in the comfort of your car, with great sound transmitted to your FM car radio. Your ticket includes a bag of popcorn for each person in the car. Bring your pillow to hide behind and maybe a change of underwear too. As usual this promises to be a fantastic night of amazing Cinema with Food, Popcorn and plenty of fun. When young children in the little town Derry, Maine go missing, a group of seven kids find out that the killer is not a man. The shape-shifting killer preys on your greatest fears. The kids, also known as the Losers Club, decide to track down Pennywise and … well … you’ll see.